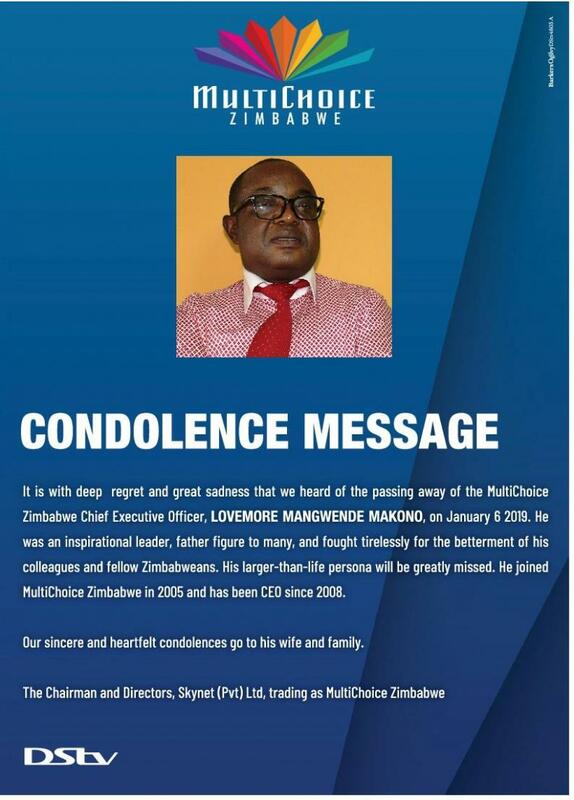 Multichoice Zimbabwe chief executive Lovemore Mangwende has died, the company announced yesterday. In a statement, Multichoice said the circumstances around Mangwende's death were unclear. "It is with deep regret and great sadness that we advise of the passing of our chief executive officer, Lovemore Mangwende Makono, on January 6, 2019," part of the statement read. "Lovemore was an inspirational leader and a father figure to many. He guided and fought tirelessly for the betterment of his countrymen and the management and staff of his company. His larger-than-life persona will be missed. Lovemore joined MultiChoice Zimbabwe in 2005 and has been the CEO since 2008. "Our sincere and heartfelt condolences go to his wife and family."